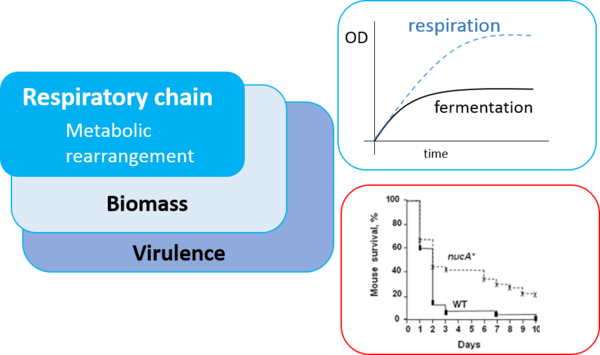 Our main group’s interest is impact of carbon metabolism, through redox systems, on bacterial physiology in two Gram-positive bacteria: Lactococcus lactis and Streptococcus agalactiae. L. lactis is a lactic acid bacteria widely used in dairy industries for its capacity to acidify milk or as a factory for protein production. GBS, named Group B streptococcus (GBS), is an opportunist, which can become pathogen in animals (cow, sheep), fish, and humans (newborns and elderly population). These two bacteria shared in common metabolic pathways such as fermentation and respiration. This latter allows them to be more adapted to environmental modifications, which happen during industrial processes and infections (immune system). To reach our goals we use different approaches from molecular biology, biochemistry, to animal experiments. 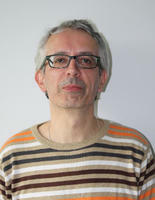 Our group is composed by three staffs including B. Cesselin and T. Franza. Cesselin B, Garrigues C, Pedersen MB, Roussel C, Gruss A, Gaudu P.Task Distribution between Acetate and Acetoin Pathways to Prolong Growth in Lactococcus lactis under Respiration Conditions. Appl Environ Microbiol. 2018 Jul 20. Lencina AM, Franza T, Sullivan MJ, Ulett GC, Ipe DS, Gaudu P, Gennis RB, Schurig-Briccio LA. 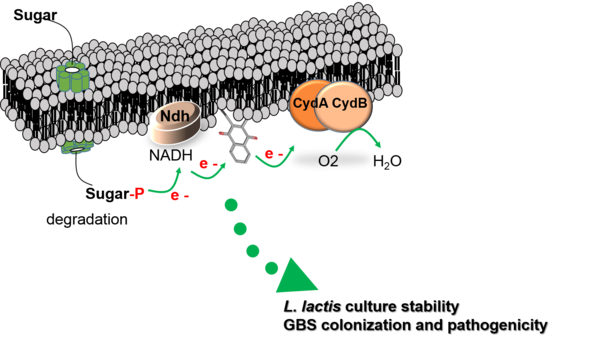 (2018).Type 2 NADH Dehydrogenase Is the Only Point of Entry for Electrons into the Streptococcus agalactiae Respiratory Chain and Is a Potential Drug Target. MBio. 9(4). pii: e01034-18. doi: 10.1128/mBio.01034-18. Roussel C, Cesselin B, Cachon R, Gaudu P (2015) Characterization of two Lactococcus lactis zinc membrane proteins, Llmg_0524 and Llmg_0526, and role of Llmg_0524 in cell wall integrity.BMC Microbiol. 15:246. Pérez-Pascual D, Gaudu P, Fleuchot B, Besset C, Rosinski-Chupin I, Guillot A, Monnet V, Gardan R. (2015) RovS and its associated signaling peptide form a cell-to-cell communication system required for Streptococcus agalactiae pathogenesis. MBio. 6(1). pii: e02306-14.